The bride, meanwhile, wore a red-and-black paisley print dress with a pearl necklace. 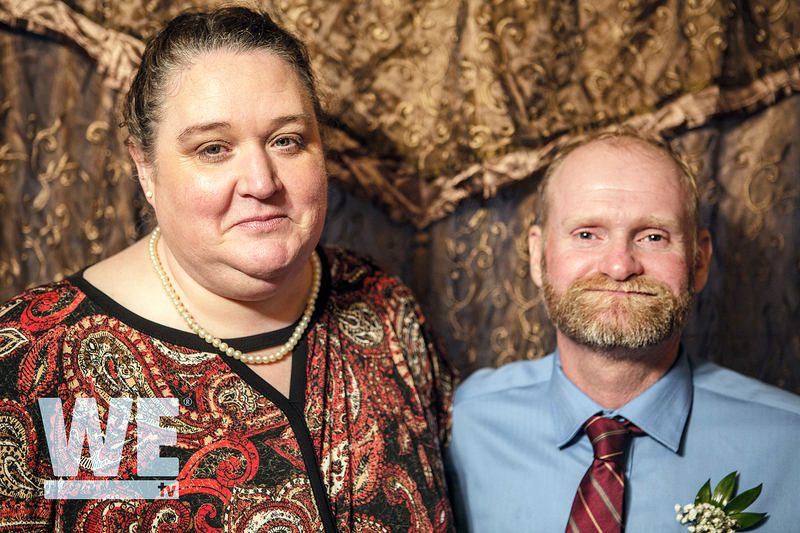 Her son, Joseph, escorted her down the aisle, where she and Thompson lit a pair of candles and exchanged vows. 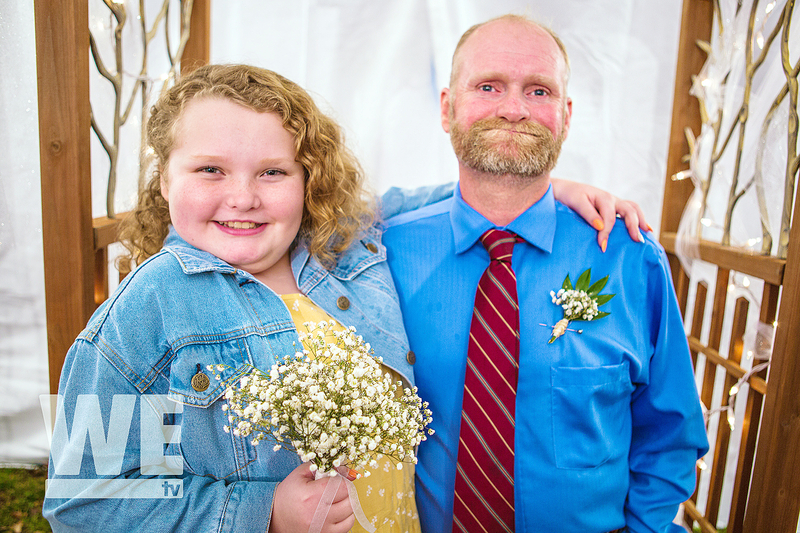 According to a rep for WE tv’s Mama June: From Not to Hot, Thompson’s big day went off without a hitch despite heavy downpours and tornado warnings. Guests enjoyed a reception with soda and a deli tray of snacks afterward, and boogied down to tracks spun by DJ Showtime. 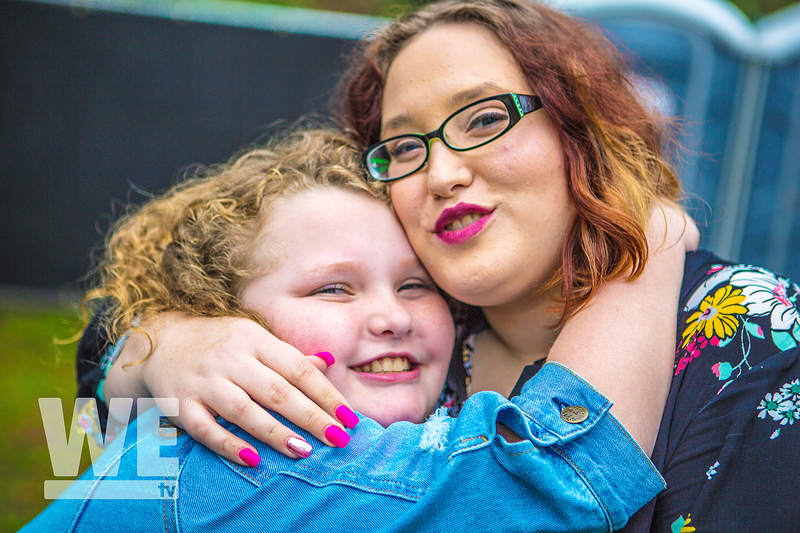 Though it is unclear whether Mama June Shannon attended her ex’s nuptials, Alana’s sister Lauryn (a.k.a. Pumpkin) was on hand to celebrate the big day and show her support. Shannon, 37, called it quits on her marriage to Thompson in September 2014, 16 months after they got hitched in a camouflage-and-orange themed commitment ceremony. The pair appeared on Marriage Boot Camp in 2015 in an attempt to save their relationship, but ultimately opted to part ways. 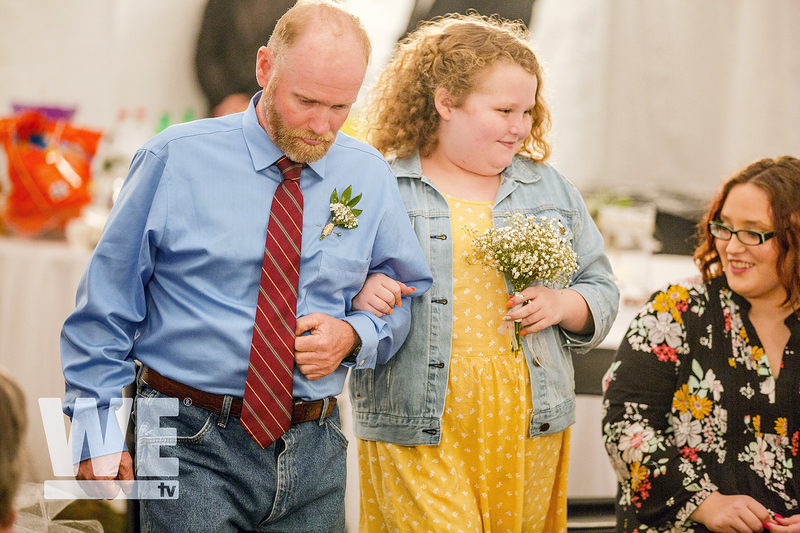 According to Shannon, their split was the mark of a huge turning point in her life; the reality star decided to start working out and taking better care of herself in an ongoing process documented on the upcoming WE tv series Mama June: From Not to Hot, which premieres on February 24.